The perfect way to send a sweet treat to someone who lives outside of Savannah. 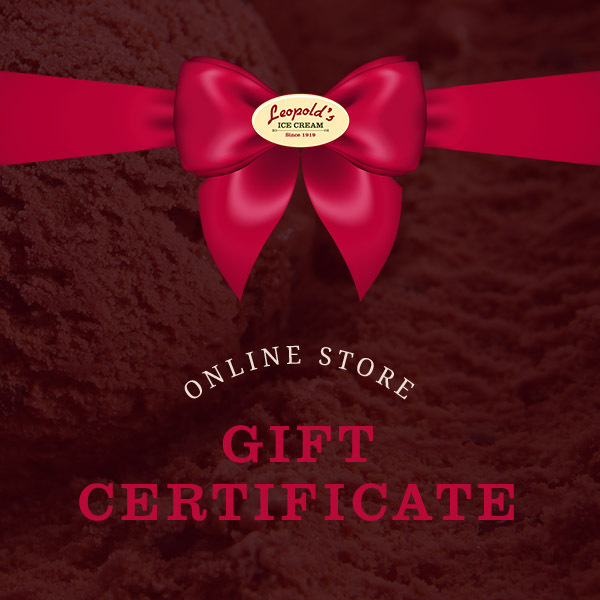 These Virtual Gift Cards can be used to purchase ice cream from the Leopold’s Online Shop. *Cannot be used at Leopold’s Ice Cream’s physical locations. On-line purchases only.